It may seem counterintuitive to get another credit card to help you pay down existing credit card debt or pay less in interest charges. And the strategy outlined here isn’t for everyone. If you can’t handle credit cards responsibly, don’t get more! On the other hand, even responsible, well-organized people can sometimes run up credit card balances they can’t pay off right away. If that describes your situation, you might’ve already tried negotiating a better interest rate or transferring balances to lower-interest-rate cards. But even if you succeed, the debt is still there and the interest charges add up. PIF stands for “pay in full” — my own name for a card you pay off every month. 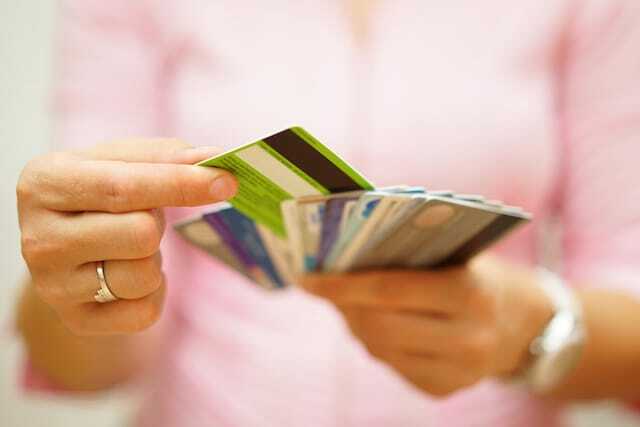 Ideally, each month you should pay off every credit card you have. It’s how you avoid all interest charges, according to CreditCards.com. But even if you can’t pay off all of your cards every month, having even one PIF card can make a difference. So if you can, completely pay off the balance of one of your cards and, from that point on, pay in full every month. If that’s not possible, apply for a new credit card, and make it your PIF card. Either way, you’ll be able to use your PIF card to save money on interest every month and pay down your credit card debt more quickly. To understand how to use this type of card, you have to understand how credit card interest works. If you always pay in full every month, you pay no interest. If you make only the minimum payment or you owe anything at all on your card after the statement due date, you pay interest on purchases from the day you make them. Consider these two examples, assuming your annual interest rate is 18%. You pay your card in full by the due date and then make purchases on it in the coming month, with an average daily balance of $1,350. The statement arrives, and if you pay in full by the due date, you owe $0 in interest. You pay everything but $1 by the due date and then make purchases on the card in the coming month, with an average daily balance of $1,350. The statement arrives — and even if you pay in full by the due date, you owe $20.25 in interest. The $1 balance on the card cost you $20.25, because if there’s any balance, interest accrues from the moment you make purchases. To explain it another way, let’s say in addition to paying off your debts, you can afford to pay for $1,350 in normal purchases each month. If you use a card you pay off every month, you’ll pay no interest. If you use a card with a balance, you’ll pay an extra $243 per year in interest ($20.25 times 12 months). Use your PIF card for all purchases until you’ve spent what you can comfortably pay for in full that month. For anything else, use your other cards. A friend had a card with a large balance that would take her years to pay off. She also had a card she cancelled once she had paid off the balance. Big mistake! She was buying groceries and other regular items with the big-balance card, and increasing the amount of interest she paid. Instead, she could have used the cancelled card as an interest-free PIF card — and saved serious money. She also could have paid cash for her purchases, but why not get the credit card’s valuable rewards points? Keep normal affordable purchases off your cards with balances — and you could save hundreds of dollars in annual interest charges. Once you have a PIF card and you’re saving money on interest, why not apply your savings to paying down the balances on your other credit cards? Then, when you’ve paid off those, you could make all of them PIF cards — and enjoy being free of credit card debt. Your Turn: Do you have a card that you pay in full every month? Or do you pay them all off monthly?